From the Star Wars Solo collection by Hasbro. Star Wars The Black Series Range Trooper (Solo) 6 Inch Action Figure. From the Star Wars Solo collection by Hasbro. 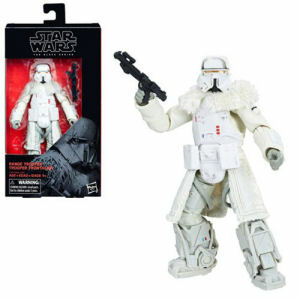 Star Wars The Black Series Range Trooper (Solo) 6 Inch Action Figure. Action figure measure 6 inches tall and comes with charatcter specific accessories. Ages 4 and up. Hasbro Star Wars Action Figures shipping from Canada. No Surprise Border fees or Customs!